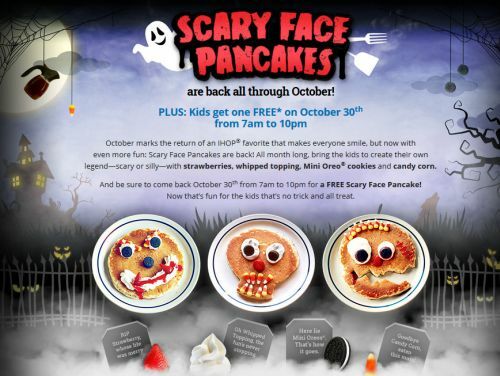 Drop by @ IHOP® October 30th from 7am to 10pm for a FREE Scary Face Pancake! Now that’s fun for the kids that’s no trick and all treat. Click the link below to get the details.